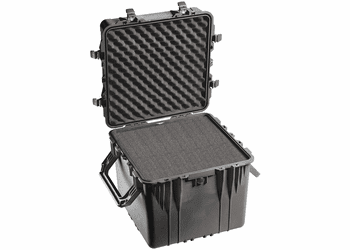 Pelican™ Cube Case 0350 with Foam - Black - 20" x 20" x 20"
"Pelican 0350 Black Cube Case. 20"" x 20"" x 20"" with Foam. 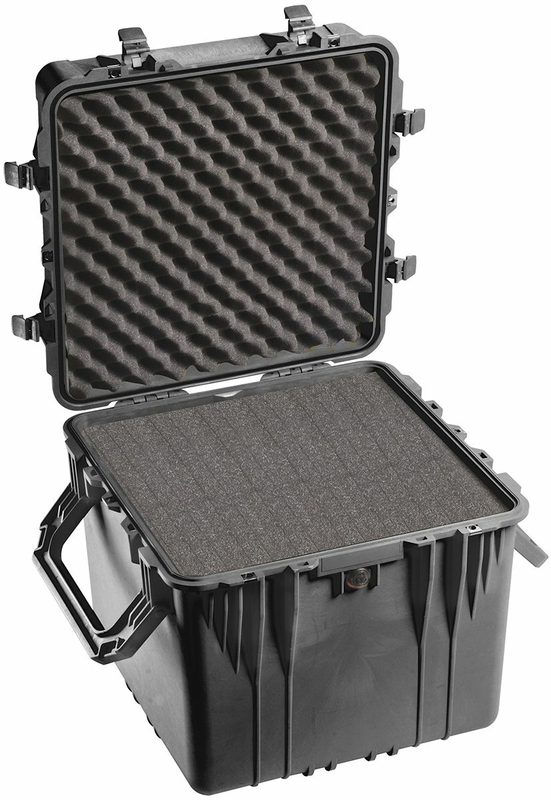 This case is extra deep so you can layer the foam. Includes 2 large handles. Lid Layer 1 1.00"" Pad, Lid Layer 2 2.55"" Convolute, Base Layer 1 1.00"" Pad, Base Layer 2 1.00"" Pad, Base Layer 3 4.33"" Diced, Base Layer 4 4.33"" Diced, Base Layer 5 4.33"" Diced.